St. Teresa in Westphalia is our next stop on the Holy Destinations tour of the archdiocese. Column: Ready for some dumpster diving? O dumpster-diving God, pray for us! Before we close the book on this eventful year, let’s take one last look at 2015. Shortly before Christmas break, the student leaders of Maur Hill-Mount Academy approached administrators with a somewhat surprising request. As we identify with the Holy Family, we can draw strength from their example. Imagine, after a long and tiresome journey, not having a place to lay your weary head. Our familiarity with the Christmas narrative can dull us to its full beauty and power. 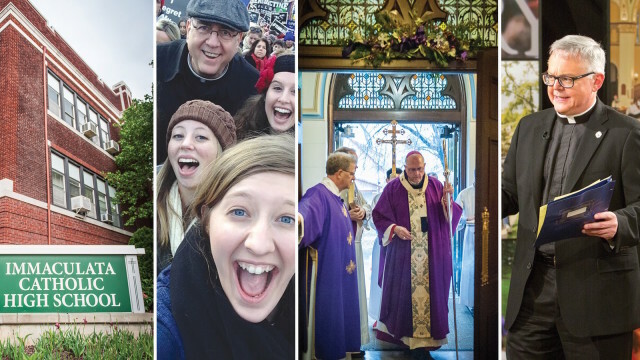 The spirit of Catholicism was always alive inside Sean Wilde; he just didn’t know it yet.